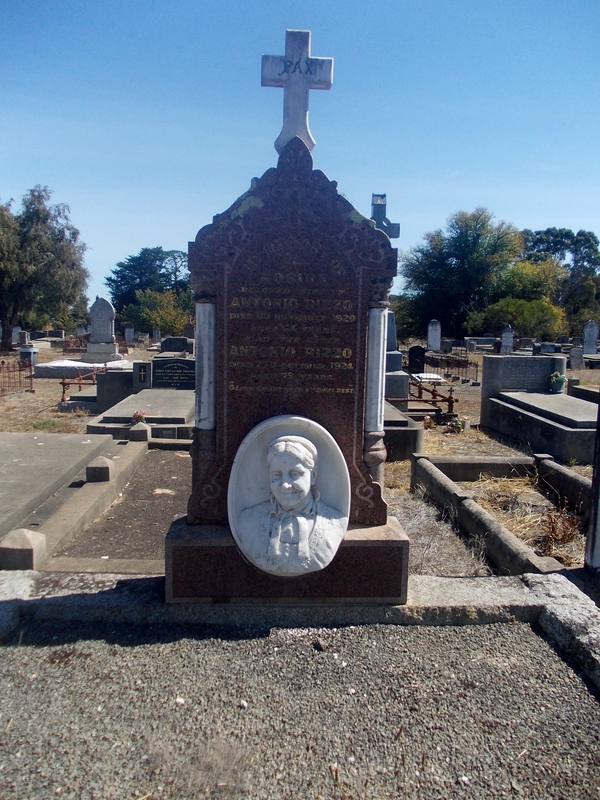 There is plenty of Irish blood flowing through the veins of the people of the Western District, particularly the south-west. 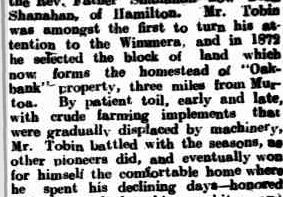 Port Fairy (formally Belfast), Koroit and Killarney, in particular, saw the settlement of large Irish families. 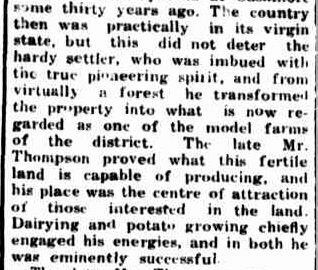 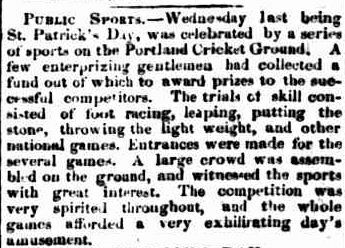 The earliest Western District St. Patrick’s Day reference I found was from the Portland Guardian and Normanby General Advertiser, from March 4, 1843. 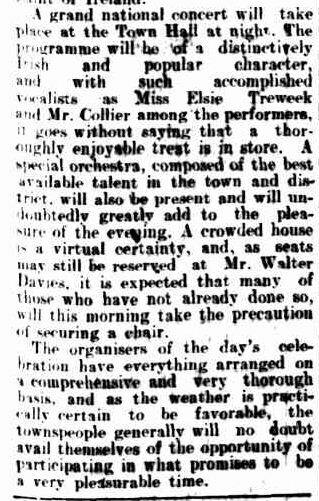 Enthusiastic preparations were underway for a dinner on March 17th. 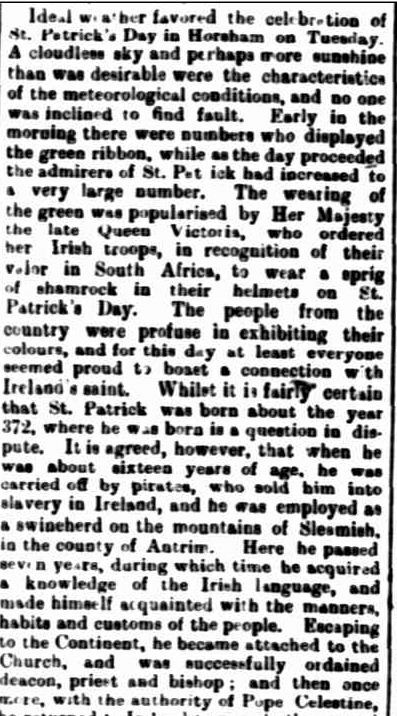 St Patrick’s Day was a public holiday and races were popular, both horse and human. 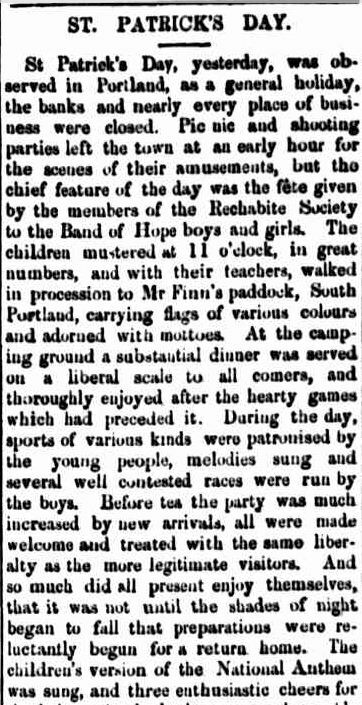 In 1869 at Portland, the Rechabite Society fete for the Band of Hope children was a feature of the day. 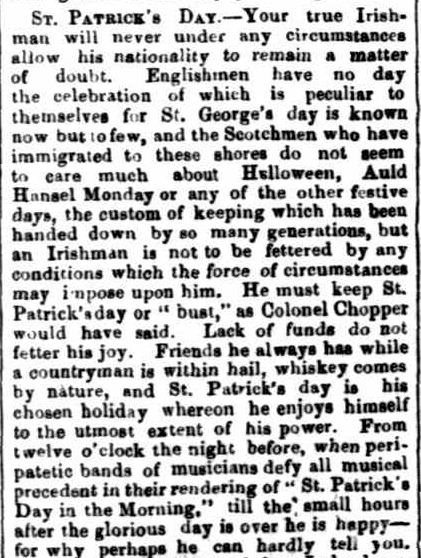 The Horsham Times of March 20, 1903, explains the reason behind the wearing of a green ribbon on St. Patrick’s Day and the story of St Patrick. 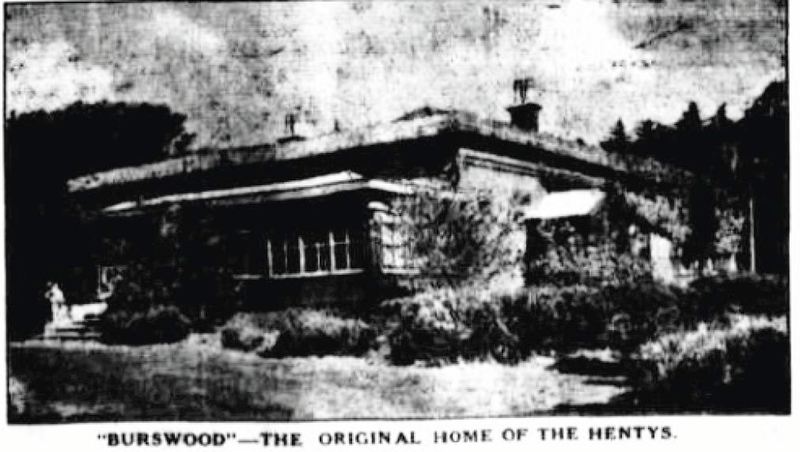 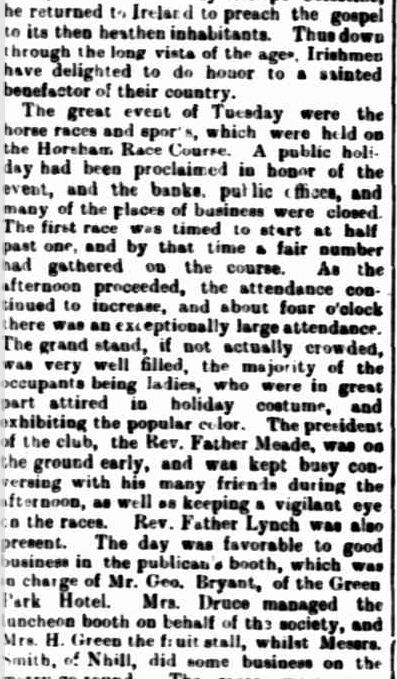 The people of Horsham went to the races on March 17, 1903. 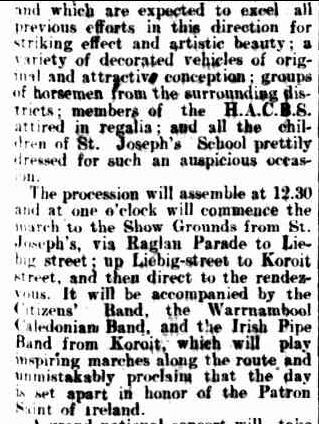 At Warrnambool, in 1914, plans were underway for the annual St. Patrick’s Day celebration which included a parade in the afternoon and a concert in the evening. 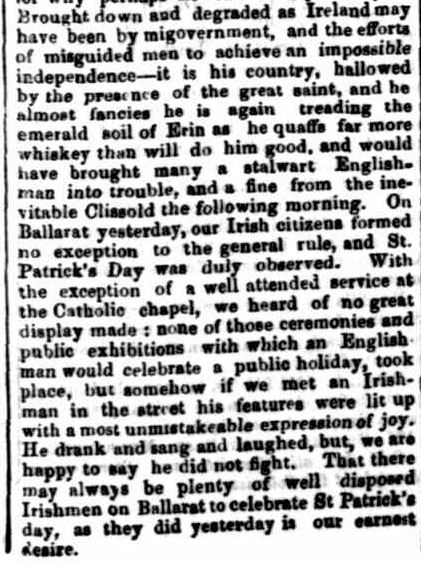 Finally, a reporter for the “Star” in Ballarat in 1858, observed that while the English barely remembered St. George’s day and the Scots were not interested in Halloween, the Irish would never let St Patrick’s Day be forgotten. 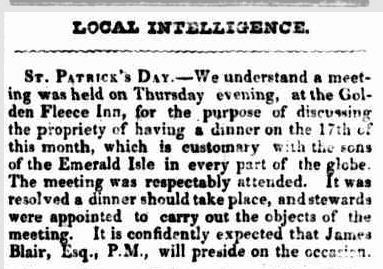 The Irish miners from those time would be pleased to see St. Patrick’s day is still celebrated today, minus the public holiday.